Why Was My Credit Card Suspended Without Notice? Can You Reactivate a Credit Card? You may come to count on the ability to whip out your credit card for purchases whenever you need it. If you swipe your credit card and receive a “declined” message, the credit card issuer may have suspended your account. Often, you may not even receive prior notice of the suspension. A credit card suspension can happen for a variety of reasons. Inactivity, late payments, missed payments and exceeding your credit limit are situations that can lead to an account suspension. If you file for bankruptcy, a credit card company may also suspend your account. 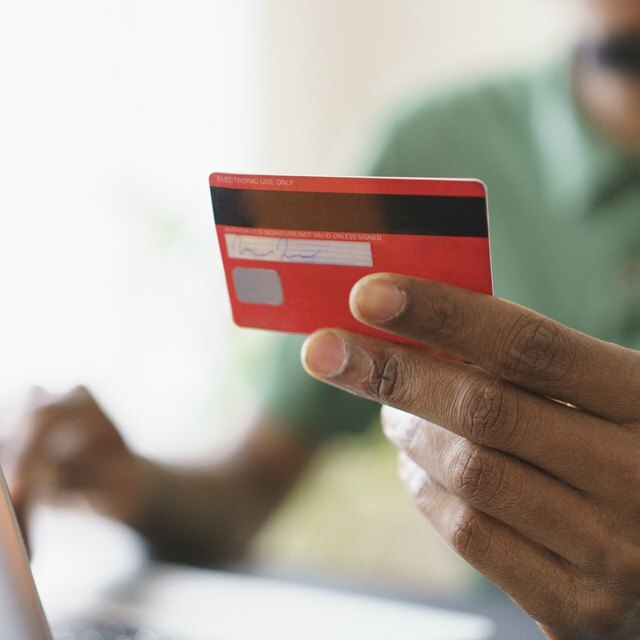 Due to expanded vigilance in tracking consumer credit behavior, if a credit card company receives information about altered spending or payment behavior via routine credit report checks, it’s also possible for an account suspension to result. A 2010 amendment to the Credit Card Accountability Responsibility and Disclosure Act of 2009 changed some rules about how credit card companies conduct business. Thanks to this amendment, credit card issuers have to provide a 45-day notice before proceeding with account changes such as raising interest rates or changing fee structures. However, this amendment did not include any changes to disclosures about closing or suspending a consumer’s credit card account. The reasoning behind the lack of notice follows logic. If you were to get notice of your credit card being canceled in 30 days, you might feel tempted to give your card a workout before the axe fell on your account. The Fair Credit Reporting Act requires credit card issuers to send consumers a written notice of any adverse action taken against an account within 30 days after the action takes effect. Adverse action does not include action resulting from default, delinquency or inactivity. An example of possible adverse action might be an account closure due to a new negative entry on your credit report. If you find your credit card account suspended, contact the credit card issuer for information regarding the status of your account. If your account suspension was due to exceeding your credit limit, paying down your balance might reactivate it. If your account suspension was because of late or missed payments, you may need to show responsible repayments for several months before reactivation. If your account suspension was due to inactivity of your account, this might just require a simple call to request reactivation and a new card. Can Health Insurance Companies Cancel Your Policy Without Having to Give a Reason? The way the credit card company reports the suspension to the credit bureaus will have an impact on your credit score. A “credit line suspended” notation will stay on your report until either the account is closed completely or you have your credit card use reinstated. The CLS notation is relatively harmless -- it’s the outcome of account closure or reinstatement that will have a long-term impact. A final closed notation can have an impact on your credit score, depending on the nature of the closure. A “closed/current” notation indicates that the account closed without negative issues. A “closed/delinquent” account with a number of days noted indicates that the account closed with a delinquency, which can have a negative impact on your credit score. CreditCards.com: When Can an Issuer Close Your Credit Card Account?